I KNOW THAT THIS WILL BE A DISAPPOINTMENT TO MANY BUT WE MAY RESURRECT THE EVENT IN THE FUTURE IF THE SITUATION IMPROVES. WE WOULD LIKE TO THANK ALL WHO HAVE SUPPORTED THE EVENT IN THE PAST WHICH HAS RAISED THOUSANDS OF POUNDS FOR OUR CHARITIES. Welcome to the New Website for the GREAT NORTH FLY IN 2017. 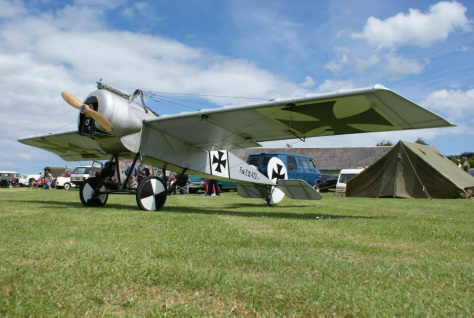 This years event will take place on the weekend of the 17th and18th of June 2017 at Eshott Airfield, Northumberland, following in the same vein as before with the emphasis on having a bit of fun and raising money for our Armed Forces. Again this year we will be supporting The Royal British Legion, and Fallen Fusiliers. We hope to attract lots of interesting aircraft. Storm Smith (Airfield Owner) has once again let us use this former WW2 Spitfire base in Northumberland as a venue for the event. The event is entirely put together by volunteers with no sponsorship or funding from outside (we are looking for sponsors). Last year we raised over £4000 for our charities and this year we hope to do much better. GREAT NORTH FLY IN 2017 is not only a celebration of aviation but also welcomes other attractions particulary Vintage/Classic Cars and Military vehicles. The following attractions will be attending this years GNFI, we hope to get other attractions in the mean time and will update this site accordingly.